This, that and the other hat (my alternative title and just couldn’t not use it)! Taking the first steps towards going from a 2,400 square ft home to living in an RV. The beginning process of clearing out clothes, going through drawers and selecting things to put in our 1st yard sale has begun. I began with one drawer… And stopped for the day. It’s amazing how every item has a memory attached to it. 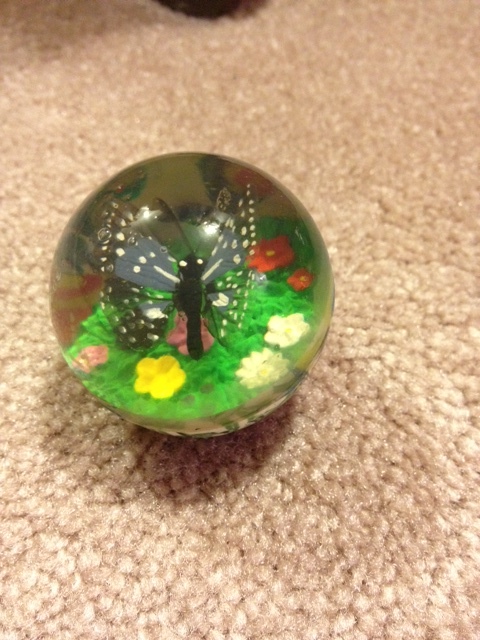 The super bouncy ball with a butterfly in the middle that Mitch saved from going down a steep mountainside to the mood ring I got on our first trip. All there, not ever needed, but the flood of memories that are associated with them takes over the process. To let go of things, to create a new life has already presented more emotional challenges than I had anticipated. Not to mention how much money was spent on each item, and if I can even get a dollar for it at the yard sale! It’s a real eye opener! Super grateful for craigslist during this process! It’s been a great way to find people who are willing to pay a reasonable amount for our items.So, I just have to remind myself that this is just stuff, I chose to purchase it, and now I choose to keep the memories and let go of the stuff! Cleaning out my closet, and downsizing my wardrobe is going to be an ongoing process. 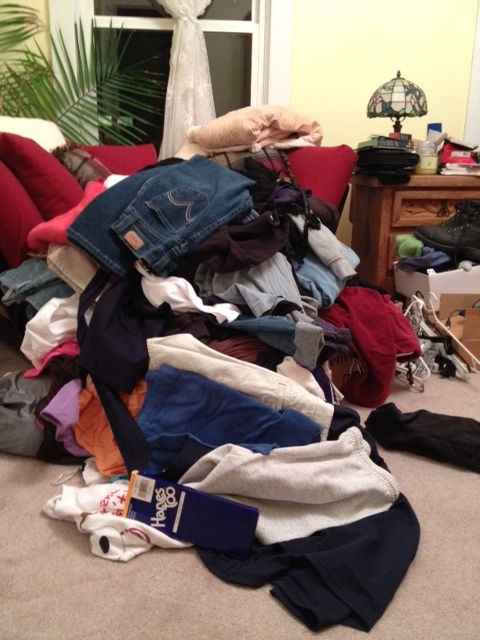 I initially went through and created four piles 1-keep, 2-yard sale 3-trash (yes, I have a hard time throwing away clothes. Even when they are so thin the fabric begins to break down and holes appear) 4- try on. This first round I found simple and liberating. A week passed and I decided to try round two, the “Self, lets get real ” round. I have to now admit to myself that what I like, and what I like to wear, isn’t the same thing. 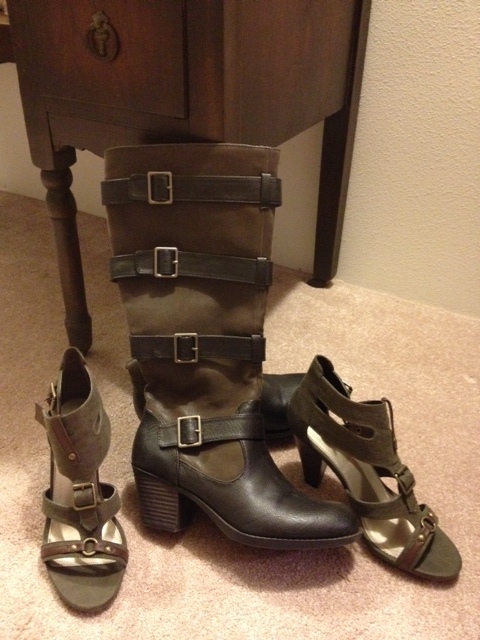 I just love shoes! The colors, the styles, the details and just how darn cute they are! But… Most of them are either are too bindy, too high of a heel, a little wobbly, gave me a blister one time, too heavy, just not comfy. I don’t wear them. well, a girl’s gotta keep some flavor! I will put them on.. Ponder and end up wearing one of my few good ol’ usual shoes. Saying to myself, maybe next time. Now, the thing is, I am the exact same way about my clothes. I will choose comfort over making some kind of fashion statement 9 times out of 10. And here in lies my personal growth. I have to let go of my idea how I would like to dress, to the reality of how I really dress. Like Levi Capri’s, when I see someone wearing them I say, “oh those are so cute! I should wear mine more often”… Then I put them on. Ugh, so restricting, I begin to feel trapped and smothered. I do the usual squat and stretch, wiggle around, yank, and then two minutes later I get on a pair of cloth culottes. 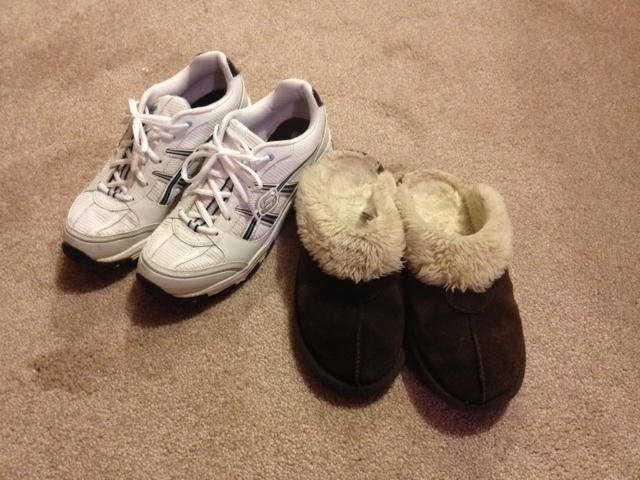 So, I just need to find my flair in all things first and foremost, comfy! So, as I process this realization, and embrace the real me, I will probably have a much easier time letting go of all those clothes that I see and say, “but I like that” and I can say to myself, “but you don’t wear that”! And let go (ok, except those ones that I just love)! Then it’s on to round 3 (and I will probably still keep some… It’s a sickness!) haha! My next project will be my hats. I’ve always wanted to be one of those people who wear hats. I just love to see people wearing hats. The big brim, the beauty and mystery a hat can posses. I just find them, and people who wear them, very intriguing. So, do I wear them? Not often. Do I have many? More than I have worn. So my quest on our new adventure will be that I become the lady in hats, and take advantage of the opportunities I have to wear them. 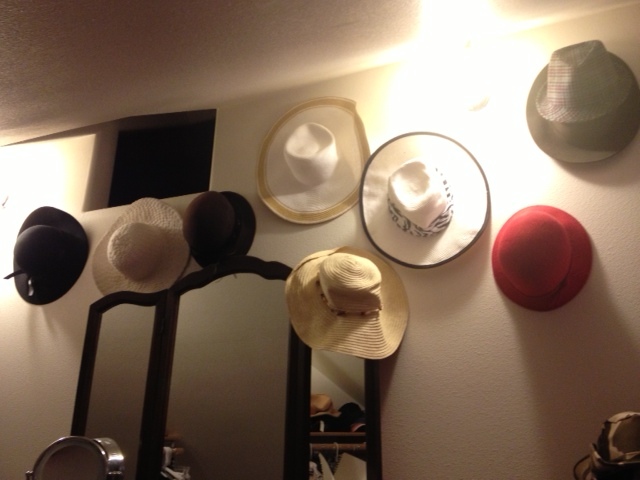 I believe that I can embrace my hats, become one with my hats! If I don’t and I find them taking up space in our RV I will probably make it my mission to find them good homes. How will I do this you ask? Well, one of the greatest feelings in life is giving to others when they least expect it. Last year I began to collect more jewelry than I ever wear, and went nuts one day when I found tons of jewelry on sale and decided that most of it I just bought because it was on sale. So, I devised a plan to wear the jewelry just in hopes that I would get a compliment on it, and then give it to that person! It was so fun, and rewarding. I highly recommend trying it sometime.